New Delhi: During an election rally in Tamil Nadu on 1 March, Prime Minister Narendra Modi remarked that his government was fulfilling the wishes of Rajaji (C. Rajagopalachari). Given that Rajaji was a staunch believer in free markets, the Prime Minister’s statement was bound to raise some eyebrows, because although it is somewhat reformist, his NDA government has tended to be statist and unable to produce a genuine free-market intellectual class. ThePrint looks at the intellectual history of India’s economic Right. This is by no means an exhaustive list, but the aim is to bring out some voices from India’s economic Right, who firmly believed in the idea of a market-driven economy, with minimal state intervention. Often, India’s post-Independence statist economic policies are attributed to socialist ideas of state control. While this is technically right, the idea of India’s state-centric economy goes back to Kautilya’s Arthashastra. Kautilya argued that the state should control every single aspect of the economy, and went as far as to say that even if some economic activity were to be carried out by private individuals, it should be subject to severe and detailed state regulation. Interestingly, an alternative to this statist idea of economic control came from India’s Buddhist traditions, which suggested a preference for private economic activity — especially with respect to commerce. It also wished to restrict the economic role of the state. During the time when Buddhism was spreading, India’s external and internal commerce had begun to rapidly grow. Given the Buddhist sympathy for free commerce, a lot of the merchants converted to Buddhism. As a consequence, some of the earliest and most capitalist monasteries in India were Buddhist. In many ways, the debate between a statist and a market-driven economy is a debate between the Kautilyan and Buddhist traditions. The foundational logic of a market economy is to do with the right to private property. In modern times, this idea can be traced back to Raja Ram Mohan Roy in the 18th century. Many regard Mahadev Govind Ranade as the ‘father of Indian economics’. Ranade wore many hats, including journalist, social reformer and economist. Most of his work was centred on the idea of how to get rid of rampant poverty in India. In that regard, he argued that the Indian economy’s overdependence on agriculture was a major cause of its problems. He believed that the way to boost economic development in India was by prioritising industry and commerce over agriculture. While Ranade was no proponent of a laissez faire system and was more of a pragmatist, his contribution to the Indian economic thought is important. Before and after Indian Independence, there have been several free market economic thinkers, who presented profound articulations of their views — such as Gopal Krishna Gokhale, R.B. Lotvala, S.V. Doraiswami, B.R. Ambedkar, Rajagopalachari, B.R. Shenoy and N.A. Palkhivala. Over the years, the economic ideas of the likes of Doraiswami and Ambedkar have been marginalised in India, but received attention in the West. Doraiswami, a monetary economist, was way ahead of his time in his analysis of the monetary gold standard. He argued that “gold standard without a gold currency is an absurdity”, and called for the opening up of mints for free coinage of gold. Arguing against the then-prevalent paradigm, he believed that the exchange rate of gold should not be fixed, and should be left to the forces of demand and supply. In the case of Ambedkar, while his social and political ideas are widely known, far less attention is given to his economic ideas. Trained at Columbia University, Ambedkar proposed a radical agenda for the Indian economy, talking about free banking, decentralised planning, gold standard, private property rights, free enterprise, and individual liberty. In his most famous publication, Ambedkar tried to tackle the problem of small landholdings in India. Arguing against consolidating small landholdings into bigger ones, he said that land was only one of the factors of production required for farming, and unless land was used in an optimal proportion with other factors, it would lead to inefficient results. He went on to argue that the real problem was with inadequate levels of capital stock in India, which was linked to India’s low savings rate. And as long the Indian economy relied on agriculture, it would be impossible to substantially increase savings. Thus, the correct solution to India’s agriculture problem was to facilitate industrialisation, he said. Shenoy was another prominent thinker whose views were consistently neglected. He studied at London School of Economics, where his supervisor was the highly influential free-marketer Friedrich Hayek. After completing his studies, Shenoy returned to India to teach. He emerged as the staunchest critic of the statist Nehruvian policies, right from the 1950s, and advocated policies based on the idea of free markets. As he had written in 1957, India went on to have a severe balance of payments crisis in 1991 — forcing it to finally give up statist economic policies. Of course, given PM Modi’s obeisance to Rajaji, it is also imperative to look at his economic ideas. Since Independence, Rajaji has been credited as the most prominent political voice of the economic Right. He was a vehement critic of Nehru’s Fabian socialism, and went on to coin the term ‘Licence Permit Raj’. He believed that bureaucracy riddles the system and creates inefficiencies. In fact, Rajaji was the first major proponent of ‘minimum government and maximum governance’, which was among the BJP’s slogans when it came to power under Modi in 2014. 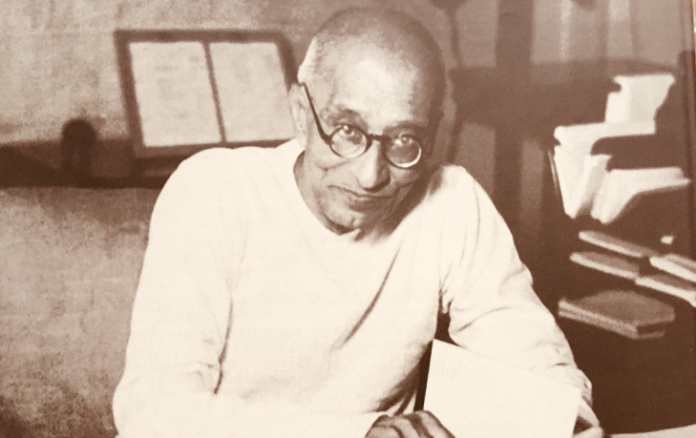 Rajagopalachari is my favourite free market politician. Hats off to B R Raghunath for being the lone dissenting voice in socialist Nehru’s panel of economists. It’s a tragic horror story that PM Modi turned out to be a crass puke worthy socialist. Hope the curse of socialism will let go off India in future.